by Chris Perkel and Georgie Roland. Released in 2007, the movie tells the emotional story of the Centralia mine fire and the town’s eventual undoing. The film includes great scenes of the town today, as well as historic footage before it was overtaken by the fire. 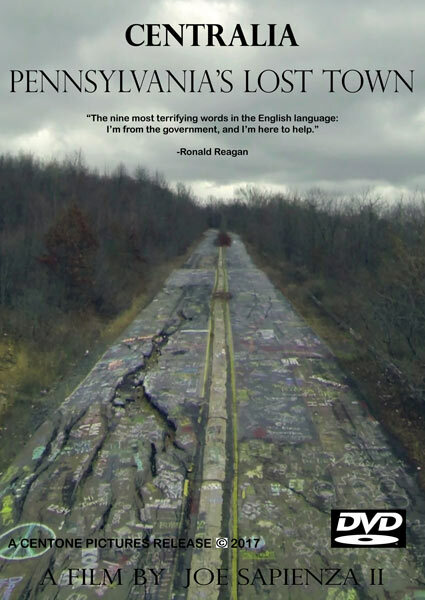 Its interviews with past and present Centralia, Pennsylvania residents are especially poignant. Most notably, The Town That Was, follows the story of John Lokitis Jr. In 2007, he was one of the town’s last remaining residents. Lokitis wanders the mine fire burn zone while describing his reasons for staying. 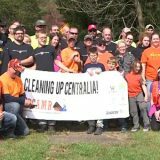 His perspective gives the tragic and moving story of Centralia a personal touch. 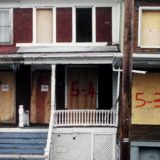 The film follows him as he works to maintain what is left of the town through the seasons. Unfortunately for Lokitis, he was evicted by the State of Pennsylvania in 2009 following the film’s release. 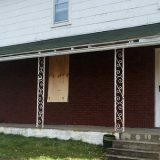 His former home has since been bulldozed. 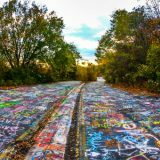 The story of Centralia is significant, not only due to the mine fire that has burned for over 50 years, but also because of what its residents have had to endure. 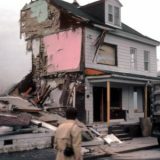 The Town That Was does an excellent job capturing these perspectives and is required viewing for anyone curious about the Centralia, Pennsylvania mine fire disaster. The Town That Was is available for purchase on Amazon .